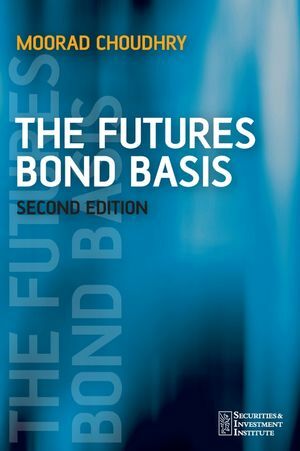 The 2nd edition of The Futures Bond Basis, is an updated and revised version of Professor Moorad Choudhry's succinct but in-depth look at the government bond futures contract basis. It includes essential background on contract specifications and the theory of the basis. It also covers the concept of the cheapest to deliver; price and delivery data for a sample of gilt contracts; the drivers of the basis and its dynamics; the mechanics of basis trading; a detailed explanation of gross and net basis, and an explanation of the implied repo rate. The book uses examples from the UK gilt market, although the basic principles are applicable in any bond futures market. Dr Moorad Choudhry is Head of Treasury at KBC Financial Products in London. He is a Visiting Professor at the Department of Economics, London Metropolitan University, a Visiting Research Fellow at the ICMA Centre, University of Reading, a Senior Fellow at the Department of Mathematical Trading and Finance, Cass Business School, and a Fellow of the Securities and Investment Institute. 1.3 Hedging using bond futures. 1.3.2 Hedging a bond portfolio. 1.A Conversion factor for the long gilt future. 2 THE GOVERNMENT BOND BASIS. 2.1 An introduction to forward pricing. 2.1.2 Illustrating the forward bond basis. 2.2 Forwards and futures valuation. 2.2.5 Relationship between forward and future price. 2.2.7 The basis and implied repo rate. 2.3 The bond basis: basic concepts. 2.3.6 The implied repo rate. 2.4 Selecting the cheapest-to-deliver bond. 3 BASIS TRADING AND THE IMPLIED REPO RATE. 3.1.2 Options embedded in bond futures contracts. 3.2.3 Changes in CTD status. 3.A General rules of the CTD bond. 3.B A general model of the CTD bond. 4 THE FUNDAMENTALS OF BASIS TRADING. 4.1 Rates and spread history. 4.1.2 The implied repo rate. 4.2 Impact of the repo rate. 4.2.2 Short bond position squeeze. 4.3.1 Using the conversion factor. 4.3.2 Trading profit and loss. 4.4 Timing the basis trade using the IRR. 4.4.1 The implied repo rate (again). 4.4.2 The IRR across futures contracts: Bloomberg illustration. A REPO FINANCING AND THE CONCEPT OF THE ‘SPECIAL’. A.2 Basket repo: Illustration using Malaysian government bonds. A.3 Special bonds in repo. B RELATIVE VALUE ANALYSIS: BOND SPREADS. B.1 Swap spread and Treasury spread. C LIFFE LONG GILT DELIVERY HISTORY, MARCH 1996 TO JUNE 2001.